A highly concentrated bath treatment that removes the stress and relieves the tired legs as well as relax the body. 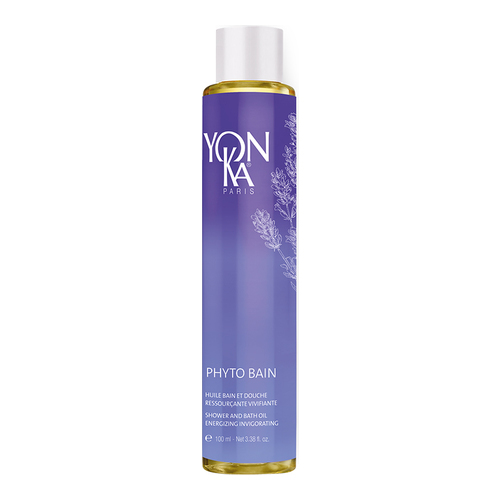 Pamper yourself with this Yon-Ka signature multi-action bath oil that relaxes, slims, detoxifies, and firms. With a high concentration of botanical and essential oil extracts, it promotes better circulation and invigorates the whole body. It achieves a genuine spa effect in the comfort of your own home and is especially recommended for active people to reduce fatigue. • Add 1 tablespoon of Phyto-Bain to your bathwater, using the bottle’s cap to measure. • Can also be used in the shower on a wet glove. • During pregnancy, always check with your doctor before using any therapeutic bath additive. best smeeling woel soak ever!